I have so many photos that I love, to pick out one favorite to tell about is almost impossible. Anyone whose reads my blog or has visited my website has seen the photo at the top of the pages. Numerous times, people have told me how they like that photo or asked about the people in it so I’m going to tell you about it. Many years ago, I connected with a lady in Arizona whose aunt was married to my great uncle. One day soon after, I brought in my mail and there was a small package. I opened it and it was a box that checks had come in. When I opened the box, it was filled with photos that had belonged to my great uncle and a note. The note said that when Uncle Bee died in 1975, the sender had inherited his possessions. She was so glad to have made contact with someone in his family because she wanted the pictures to be returned to the Carder family. The rest of the box contained photos and a letter that Uncle Bee had written to his older brother when he was a child. What wonderful gift and treasure this sweet lady had given me! The photo on my website is one of the photos that were in this little checkbox. Conveniently, Uncle Bee had labeled some of the photos and this was one of the labeled ones. At the bottom of the Home page of my website, I have a description identifying the photo and the people in it. I’m including that label here also. The photo is of my great grandmother, Mary Alice Alford Rider Carder surrounded by most of her children. Alice, as she was known, was the widow of Albert Rider when she married my great grandfather, Nathan Isaac Carder. She was born on June 12, 1873. 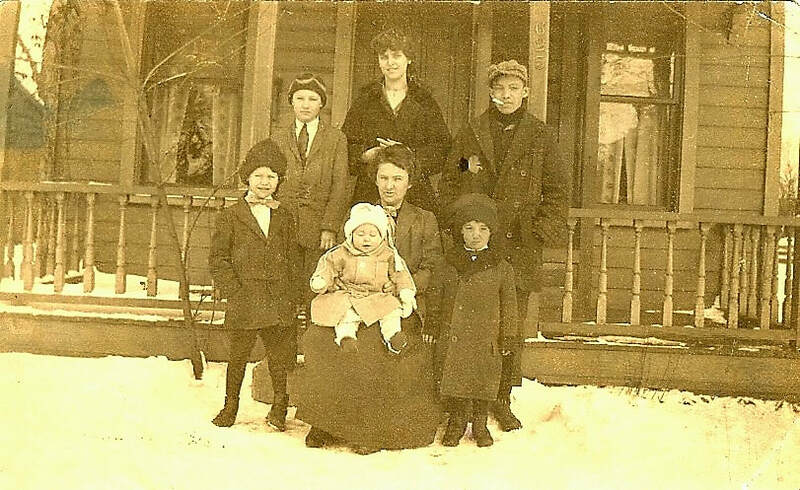 The photo was taken in the winter of 1916 because there is snow on the ground and the baby on my great grandmother’s lap is my great aunt, Margaret Eleanore Carder Finicle who had been born on April 24, 1915. It is the only photo I have of Aunt Marge when she was a baby. The house in the photo is numbered 635. Although I have the address of numerous places my family lived, I haven’t found an address with the house number, 635. My guess would be that it was probably in Kenton, Hardin County, Ohio. I’m basing my guess on the fact that Aunt Marge is the baby in the photo and she was born in Kenton. It is, of course, possible that they might have moved when she was a baby, but I don’t know. They were living in Bellefontaine, Logan County, Ohio by the time she was four, but their address in Bellefontaine was 504 Walker Street. The boy on the left with the big bow tie is my grandpa, Wilbur Silas Carder. His mother called him, “Wibbie”. He was born on February 20, 1909. As an adult, he was called “Nick” after the dime novel, radio program, and movie character, “Nick Carter, Master Detective”. To the right of Alice, is her youngest son, Clarence Melvin Carder. Alice gave him the nickname, “Taunt” because she said that he always teased and taunted everyone. Taunt was born on March 1, 1911. Behind them are Alice’s children from her marriage to Albert Rider. On the left on the step is Charles Edward Rider. He was called “Bee,” because she said he buzzed around like a little bee. He was born on June 20, 1903. In the middle, is Alice’s oldest child, Florence Evylin Rider Harvey who went by Nina (9 ah). Nina was born on June 26, 1890. Although, on the back of the picture, the young man on the end is labeled as Bill Carder, it is not. There were a few family members named Bill Carder, but this is neither of them. It is Alice’s oldest son, Frances Earl Rider who was called “Billy”. Perhaps, he was labeled as Bill Carder because it is a Carder family photo and he was the stepson of Nathan Carder and went by Billy. Billy Rider was born on December 10, 1900. I doubt that the Carders owned a camera in 1916. Most people didn’t and they certainly were not in an income bracket that they could afford one so it's not likely that one of the missing family members took the picture. Missing from the picture are my great grandfather, Alice’s husband, Nathan Isaac Carder, born on May 21, 1875, and their son, Nathan Eugene Carder, born on March 8, 1907. So, where were they? 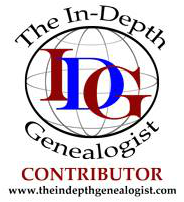 ​I have written about my great, great grandmother, Rebecca Love Cheney, but have never written about any of her family. Rebecca’s parents were Samuel Love and Sarah Newell. Samuel was born about 1792 in Shenandoah County, Virginia. He was the first-born child of Revolutionary War veteran, William Love and his wife, Winiford Carney. Samuel probably had to grow up fast. He became the “man” of the house at the age of eleven when his father was declared to be deranged and placed in the insane asylum in Williamsburg, Virginia on April 28, 1803. Samuel had four brothers and four sisters, ranging from age ten to age two. He may have shouldered a lot of responsibilities to help his widowed mother with their family. Samuel served during the War of 1812 as a private in Capt. Andrew Bryan's Co., 2nd Regiment, Virginia Militia. He served from September 21, 1812 to February 20, 1813. Shortly after Samuel’s discharge, his father, William died in the Eastern Lunatic Asylum on April 10, 1813. He is buried in the asylum’s cemetery. 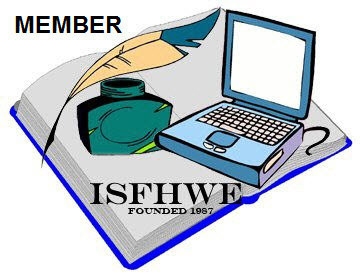 A few months later, on October 10, 1813, Samuel married Sarah Newell, in Harrison County, Virginia. She was the daughter of Isaac Newell and Abigail Vanscoy. Like Samuel, Sarah was born in Virginia and was the oldest child in her family. Between 1819 and 1820, Samuel and Sarah and their four children migrated to New Market, Fayette County, Ohio. Before 1830, they moved to Pike County, Ohio. Five more children were born to them in Ohio. My great, great grandmother, Rebecca, the second child and first daughter of Samuel and Sarah, married William Cheney about 1834. William’s uncle, Jonathan Cheney had founded a community, Cheney’s Grove in McLean County, Illinois. About 1840, some of the Cheneys and Loves moved to Cheney’s Grove, including William and Rebecca and her parents, Samuel and Abigail Love. While living in McLean County, Abigail Vanscoy Love died in 1842 and is buried in Barnes Cemetery, Ellsworth, McLean County, Illinois. Her daughter, Elizabeth and son-in-law, David S. Allen and several of Abigail and Samuel’s grandchildren are buried near her. After Abigail’s death, William and Rebecca Cheney, their children, and her father, Samuel Love returned to Ohio where they took up residence in Marion, Marion County, Ohio where Rebecca’s brother, John lived. The widowed, Samuel moved into the household of his son, John, in Marion. Samuel farmed along side of his son, but not for long. Several Southern states ceded from the Union. War soon followed to reunited the country. John Love, along with most able bodied Marion County men enlisted in Co. E, 96th Ohio Infantry. He served as a wagoner for Co. E during the Civil War. He did not come home. He was captured by Confederates and taken to Andersonville Prison in Georgia where he contracted a disease and died on July 18, 1864. Whether Samuel stayed on, farmed his son’s land, and took care of his son’s family is not known. At some point in time, his daughter-in-law, Elvira remarried to a Mr. Johnson. By 1870, William and Rebecca had gone to Missouri, returning to Ohio permanently by 1880. Samuel died December 7, 1870 in Bowling Green, Marion County, Ohio. ​After my mother passed away in 2016, my husband and I moved into my family home. One day shortly after the move, while dusting, I saw something stuck behind a shelf against the wall. I reach over and pulled it out. It was a sandwich bag with some crumpled newspaper in it. I took out the newspaper and uncrumpled it. Inside of it was a small photo like people used to have taken in those little photo booths in the malls or stores. The photo was not labeled, however, I am sure that it is a photo of my great grandma, Louella Sylvester Leveck. She was my dad’s grandma and I knew her very well. I was pushing 30 when she passed away and had stayed at her house many times as a child. I have no other photos of her as young as she is in this one I found, however she looked the same as the photos I have of Grandma Lou, only younger. As exciting as finding a photo of her and seeing what she looked like as a young woman, not as the great grandma I knew, there was something else! A small diamond ring was also wrapped in the piece of newspaper. I’m guessing that it was her engagement ring, perhaps from her first husband who would have been my dad’s grandfather. How this got stuck behind the shelf will never be known. Maybe, Dad set it on the shelf and it fell behind and he didn’t realize it or couldn’t find it. I don’t know, but what a delightful surprise it was when I found it. I had met my mom’s great grandma a few times but Lou was the only great grandma I knew and knew well so this picture and little ring are cherished treasures. 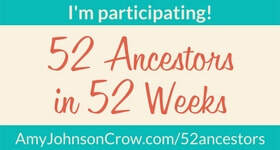 ​The first ancestor I began researching in the quest for my family history was John Mahlon Carder. To this day, he is the ancestor who I have repeatedly returned and attempted to do more research and the one who I believe I know best. Not only have I researched his life, I have written and spoken about him many times. 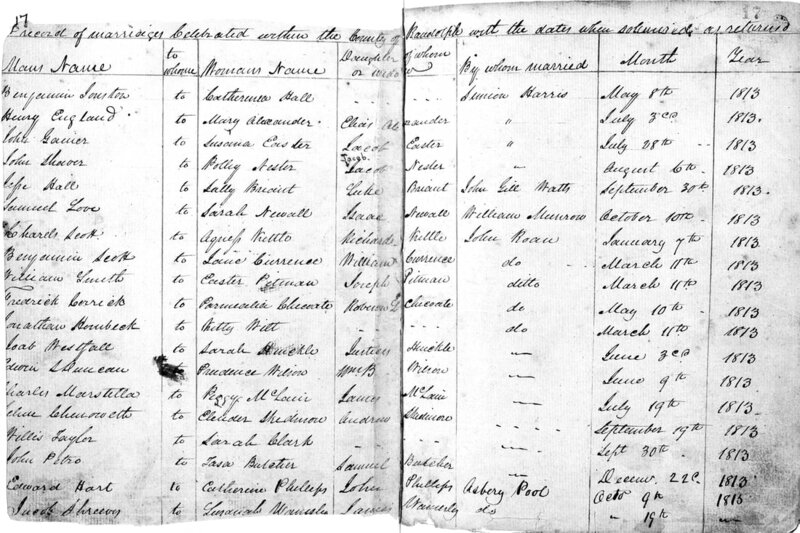 Two of my lectures, Finding Eliza Jane and The POW Experiences of Two Union Civil War Soldiers are based on his Civil War pension file, compiled service records, and his POW records. I have a copy of a photo of him framed and hanging on the wall near my computer. I have visited the places he called home. I feel like I know this great, great grandfather personally. When I started researching my family history twenty-one years ago, all I knew is that my great, great grandfather’s name was John Carder, that he came from the Shenandoah Valley, and that he had served in the Civil War. 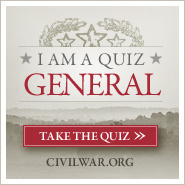 I didn’t know where else he had lived, for which side he served in the Civil War, or his middle name. Everything I knew was in the previous sentence. My great aunt was living when I started my research so I asked her what she knew about him. She knew where he was buried. The next day, my parents and I picked up Aunt Marge and we visited John Carder’s grave. It was a government issue tombstone that you see on so many Civil War veterans’ graves. 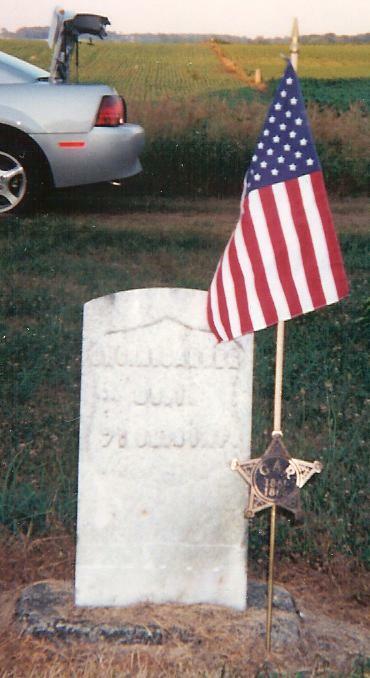 With the information on his tombstone, I was able to order his Civil War records and really start learning about him, my great, great grandmother, and their children. Twenty-one years later, I have probably all of his siblings, his wives and in-laws, and over 8,600 collateral relatives and descendants. The one thing I have never been able to learn is the one reason I started doing my family history-to learn who John’s parents were. That is still my #1 goal. Who were the parents of John Mahlon Carder? ​I’m not posting a copy of the picture of the bearded man that hangs on my wall because the original is not mine. Many years ago, I received a copy of the original picture that was supposed to be John Mahlon Carder, my great, great grandfather in his Civil War uniform. The cousin who shared it now says that although that is who she was told it was, she is not sure. I personally think it is, because we have a couple of other photos who may be him and he always has that beard. A long, bushy beard that was popular during and after the Civil War. The aunt of the cousin who shared the picture told us that the picture hung in her grandparents’ home and when she was a child, she thought the man in the picture looked like he was wearing a fur collar. I hope the photo truly is my great, great grandfather, John. Looking at that picture on my wall has been an inspiration to delve more deeply into his life. I’ve done so much research and written his story and told about him when I give lectures that I feel like I know him. Seeing his face looking back at me on my wall makes me smile and reminds me that his and my family’s story needs to be told and not forgotten. The man with the bushy beard will stay on my wall and continue to remind me the importance of preserving our family history. Amy may have been as excited as James to come to their new home. She was a child of the frontier, born in Greene County in southwestern Pennsylvania. Not a delicate flower from the civilized East. She was used to hard work and the dangers of the frontier. Amy made the trip with James and their six children from Greene County, Pennsylvania to what later became Ashland County, Ohio, mostly traveling on the rivers. The final leg of the trip in March, 1809, was by ox cart on an old Indian trail. They were the first white family to settle there. Amy and James worked hard that first year. James and their oldest son Henry built a small log cabin with a dirt floor. The whole family worked to clear the land and plant some crops and a garden. Another child, Anna was born during that first year so Amy endured the hardships of the move and setting up housekeeping in their new home while expecting. Now, on top of all she had to do, she had a seventh child, a newborn baby to care for. Life was good in the valley. More settlers came. The neighbors helped neighbors building cabins and barns, clearing land, and whatever else needed done. The neighbors, both white and Native American, pitched in and were friendly with each other for a few years. Hostilities began arising throughout the area and the country leading into the War of 1812. By 1812, some of the neighbors and the Natives were no longer friendly and events, which are related in another story, led to Indian attacks on the settlers. One of the major attacks was on the home of James and Amy Copus. The assault lasted for several hours. Early in the fight, James took a bullet from an Indian, who also received a bullet from the rifle of James. Again, with child, Amy was nursing her wounded husband and fifteen year old daughter Nancy, who had also been struck. All of this, while trying to hide the younger children in the loft and keep them quiet. Two of the soldiers who were supposed to be protecting the family were also wounded and two more lay dead outside the cabin. After an hour, James drew his last breath and Amy was left in the middle of an attack on her home with two wounded soldiers and her children. When it was over, Amy and the children went to the fort nearby and stayed for a few weeks. One of the soldiers at the fort was her nephew. He took his pregnant aunt and her eight children to Guernsey County to the home of his parents. Amy and the children stayed with her sister’s family for three years until the war was over and it was safe to go home. Amy longed to go home and be where her beloved James had been laid to rest. When they returned to their home, the two story log house James had build after their first year, it was in need of repair after being empty and neglected for three years. The yard and fields had grown up in weeds. No strangers to hard work, Amy and her children set to restoring their home and property. A neighbor, Joseph “John” Vail had lost his wife not long after Amy’s husband had been killed in the massacre. John and Amy became close and married on April 4, 1816, a year after Amy had returned to Copus Hill, in spite of their thirty-four year age difference. A little over a year following their marriage, on August 8, 1817, a daughter, Elizabeth was born to Amy and John. Amy now was the mother of ten children and the step-mother of fifteen, although John’s children were all adults. Amy Church Copus Vail was born on September 1, 1775, in Greene County, Pennsylvania, to George and Jane (Gilmore) Church. She married James Copus in 1796 in Greene County. In March, 1809, she and James and their children moved to what became Mifflin Township, Ashland County, Ohio. Except for the three years she spent in the home of her sister, Margaret and her husband, Joseph Archer in Guernsey County, she lived in Mifflin Township until she passed away there on December 8, 1862 at the age of eighty-seven. Her husband, James is buried at the site where their home was located on Copus Hill. Amy is buried by her second husband, John, across the valley from Copus Hill on the land where she and John had made their home. 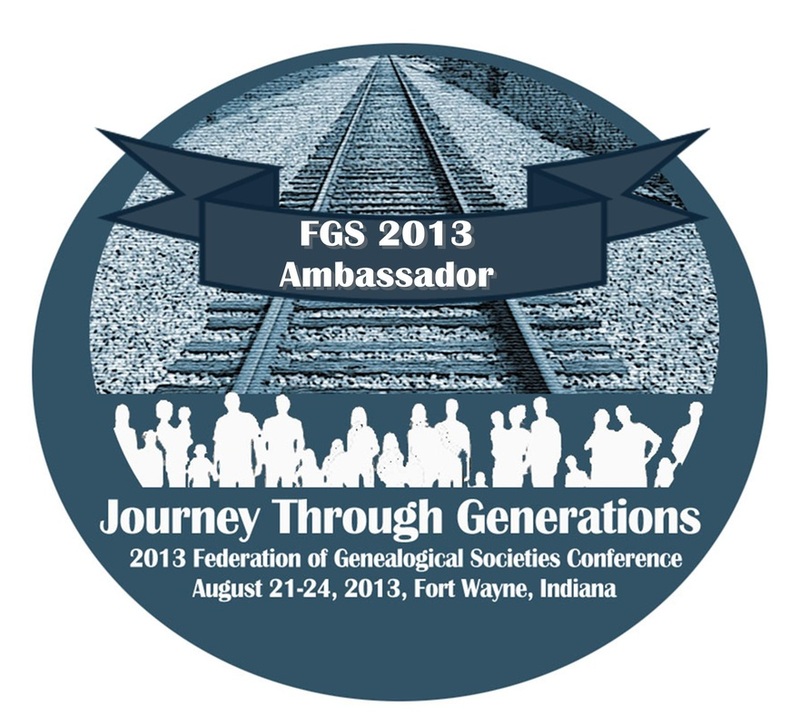 See #52 Ancestors, “Lucky”, posted on 4/1/2018 for more of the Copus Massacre story. (April 2018 in Archives on right sidebar).